Real Estate Asset Strategies (REAS), like the name suggests, is focused on strategically enhancing the value of our client's real estate assets. Our non-traditional tactic combines a short and long term approach to creating and maintaining value. This comprehensive approach combines original acquisition (when possible) with assertive professional management and implementation of an exit strategy centered around our client's investment goals and time frame. We consistently see significantly increased cash flow and enhanced value in each of our client's assets. We apply this same strategic focus when working with tenants in establishing valid cost effective lease terms that protect and fit our leasing client's short and long term real estate needs. This new level of commercial real estate service is supported by our extensive experience in transactions, management, and development strategies. The cumulative years of the office staff's experience in handling a full range of commercial real estate services totals more than 60 years. Even more importantly, this experience has been centered on strategic services and development plans for small projects as well as large multi-million dollar commercial projects throughout the United States and the Americas. The REAS office staff's combined transaction volume exceeds 16 million sqft and includes multiple, domestic, and international consulting assignments, with a cumulative value exceeding $2 billion dollars. Jeff Reber, the Managing Partner and formerly a Director of Global Consulting with Jones Lang LaSalle, provides an international level of expertise in developing and marketing investment properties and in providing consulting services for difficult or unusual projects. Susan Donnelly-Reber, also formerly with Jones Lang LaSalle's Property and Facility Management Company, continues to focus on the company's property and facility management operations. 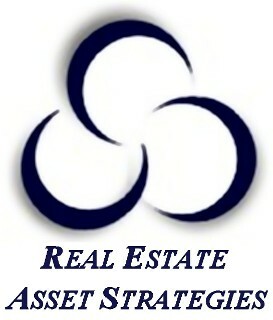 Real Estate Asset Strategies is anxious to demonstrate our differences. Please give us a call and let us show you a brief example of our evaluation process and valuation strategies for your real estate asset(s). You can contact us at 435-656-8238 or via e-mail at jeff@reaswest.com.